For insurance companies, there is really no way of protecting themselves against fraudulent claims created by certain individuals. As a means of protecting themselves and reducing their risk at the same time, insurers have come up with the ‘Principles of Insurance’ so they can combat any unnecessary risk their business may come into. Overall, insurers have come up with six principles to which they abide. Utmost Good Faith –within this principle, it is construed that both parties are in utmost good faith with each other when entering the contract. Therefore, it is the responsibility of the client to practice honesty and disclose all facts and information regarding the item they are trying to insure. Failing to do this will result in misrepresentation or fraud and will most likely lead to the cancellation or termination of the insurance policy. Insurable Interest –within this principle, it is important that the individual or entity insuring the item has interest over the insured item. If the insurer bears no real interest in the item being insured, the insurer will deny issuing any insurance policy over it. In order for the insurance policy to be valid, there should be insurable interest when purchase of the insurance policy is made. Indemnity – within this principle, the compensation for loss or damage of what has been insured will only be under appropriate amounts and with which the amounts compensated will not exceed the economic loss of the insured. Once loss or damage has been substantially given claims, it will be construed that the item incurring damage or loss will be reinstated at its pre-damage or loss condition. Proximate Cause – within this principle, the coverage provided will only contain predetermined perils and not others. 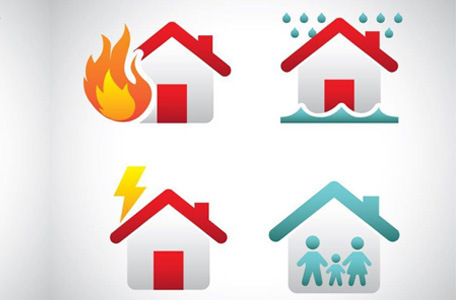 If you have home insurance that covers hurricane and wind damage, it is construed that you will not be covered for damages incurred by flooding as that is another type of home insurance coverage. Subrogation – within this principle, if a third party deals some damage to your property that has been insured, the insurance company will pay for the claims made but will sue the third party for monetary damage it has caused the insurer as means of compensation. Contribution – within this principle, if you possess a policy with different insurers, the principle states that the claims given to you will be shared by both insurers. Under this principle, you cannot collect from both insurers even if you have paid for the premiums on both insurers. There are many aspects of home improvement. However, nothing better comes to mind than methods that helps improve the overall aesthetics of the home. If you find the overall interior and exterior looks of the home boring, then you can do some home improvement basics that can help change the overall looks and aesthetics of the home without actually doing any major renovation work. Paint – if your home is looking quite aged, one way to renew the appearance of the home is by having it repainted. Try having both the interior and exterior part of the home repainted and it will make the home look newer again. You have the option of choosing the old colors for the refreshed look, or use new colors that are in contrast to the old colors for the renewed look and appearance. A new paintjob will certainly make wonders on your home as it will help to elevate its overall aesthetic properties. Drapes –try getting new and modern drapes with elegant design. The new draperies on your home will certainly give better highly and accentuation to the room as it elevates the overall design aspect of the room. The best thing about using drapes to make a home look more aesthetically beautiful is that draperies compliments the design aspects on the area it has been installed. The best part about drapes is that there are many designs and colors to choose from and you can have an assortment designed for your home for use on different occasions. Garden – one way of further elevating the exterior looks of your home is by creating a garden. The garden does not necessarily have to have fruit and vegetable bearing greeneries, but more like flower-bearing plants. Having a garden is not only pleasant to the eyes due to the greenery they add to the property, but having a garden in your property also helps with relaxation due to the fresh oxygen that the plants emit. Patio – when you have a garden, it is only normal to add a patio to it and some seating materials to it. The patio is a place where you can stay and relax during your free time, have a juice or coffee, and read some of the papers. The patio can also be a place where you can entertain your guests outdoors.